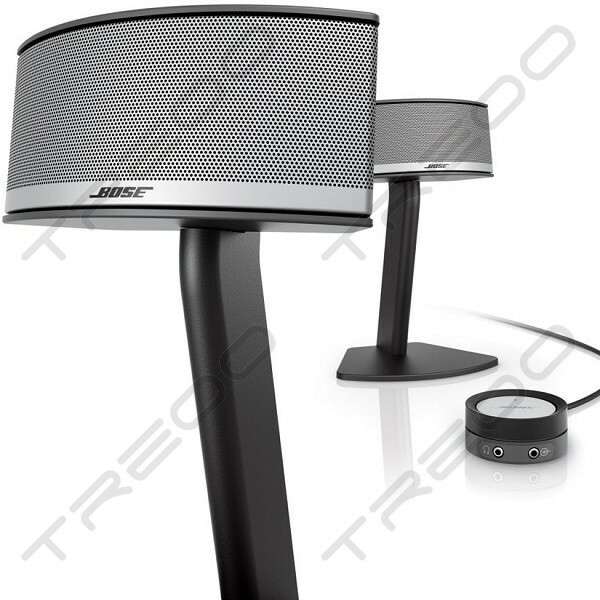 Our three-piece computer sound system delivers multichannel sound that seems to surround you—without the clutter of five speakers. 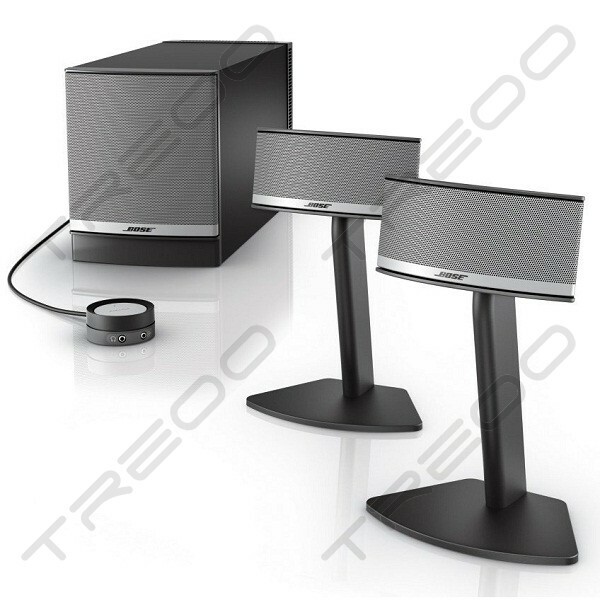 The Companion 5 multimedia speaker system is designed for 5.1-encoded music, games and movies, using just two elegant desktop speakers and a hideaway Acoustimass module. And setup is easy, with a single USB connection to your computer. Our exclusive TrueSpace® surround digital processing circuitry spreads the sound around you, so the enveloping effects seem to come from areas where there aren't even any speakers. The experience is developed especially for computer listening—putting you right in the middle of the music, the game, the special effects. 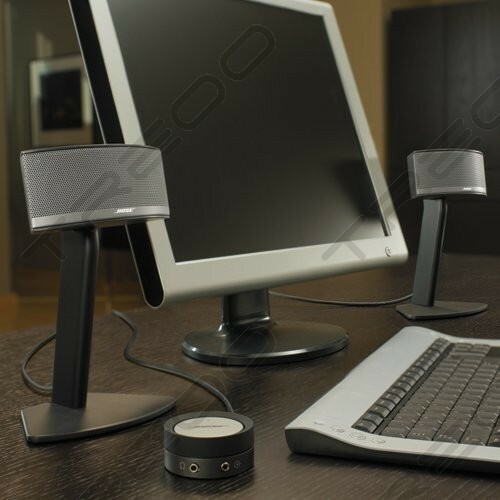 Hookup requires only a single USB connection from the computer speaker system to your PC or laptop—no special software, hardware or sound card upgrade needed. * A handy, all-in-one control pod keeps volume control, single-touch mute, headphone jack and auxiliary input within easy reach. 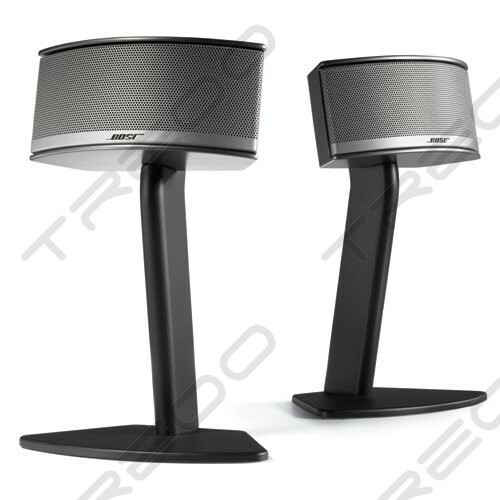 The small, elegant desktop computer speakers come mounted on stands for optimum performance and extra desktop space. Get more from your music. Get more into the game or movie. 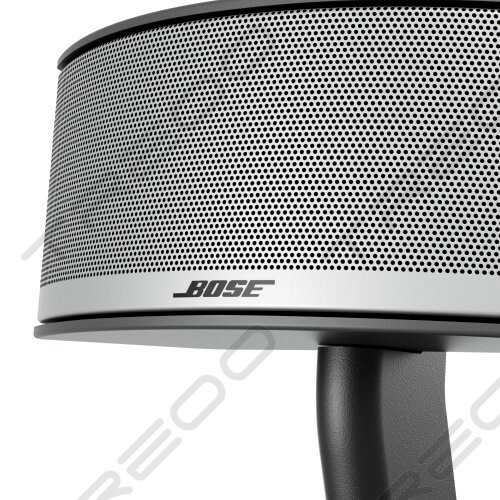 Whatever your computer entertainment passion, get more engaged with Bose® Companion 5 multimedia speakers.